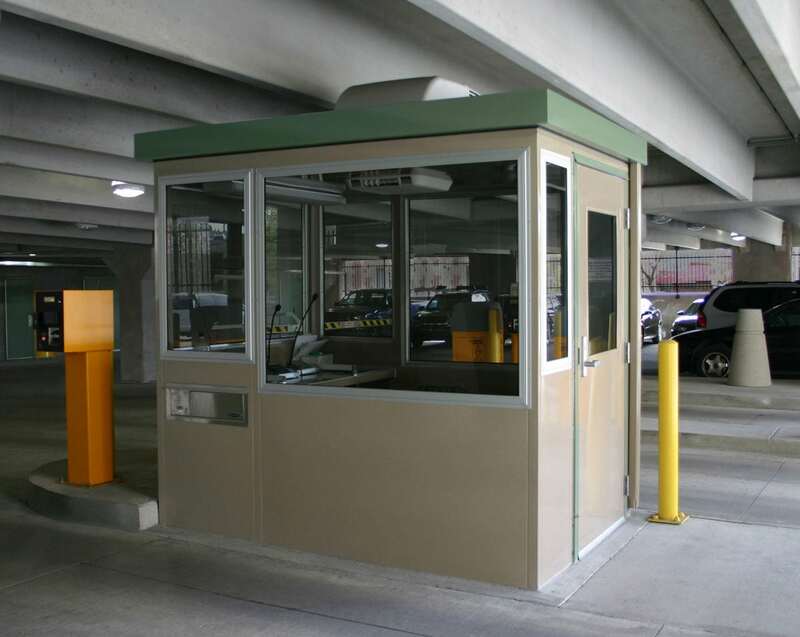 From single unit commercial structures to airport plazas and municipal parking facilities, Par-Kut builds quality parking booths that last regardless the location. 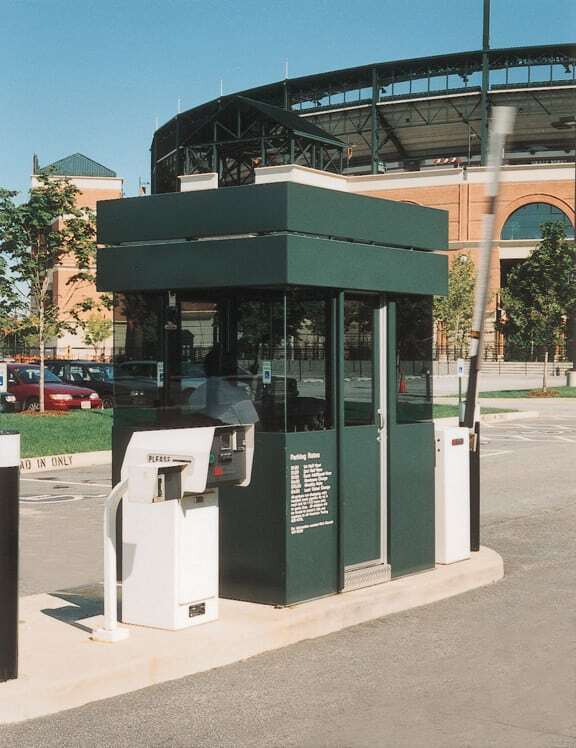 Solid welded construction and corrosion resistant materials help Par-Kut parking booths battle physical and environmental abuse while keeping your operation and your attendants safe, secure and comfortable. 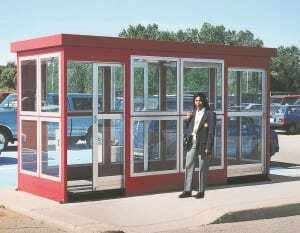 Par-Kut portable steel buildings withstand adversity and remain looking good for up to 25 years with little or no maintenance. 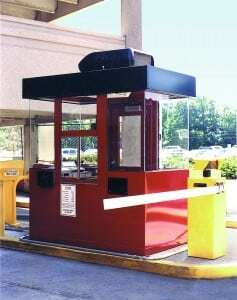 When contacting your skilled Par-Kut sales person, please have some information ready for us. 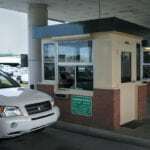 In order to make sure your parking booth can pass code requirements we’d like to know where the booth will be used. 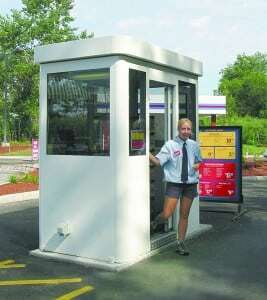 The geographic location, city and state are very important in the design of the parking booth. 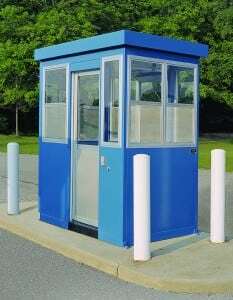 As we build every booth custom for every client, you can be positive that it’ll meet or exceed all applicable code. 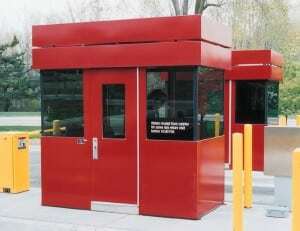 addition to our exceptional manufacturing capabilities. 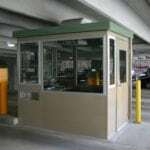 This permits us to style and build you an ideal building that appears in-built, rather than “bolted on.” Regardless of what the look is, from the most basic to high finish style, we’ll work diligently to accommodate your style and parking booth requirements. 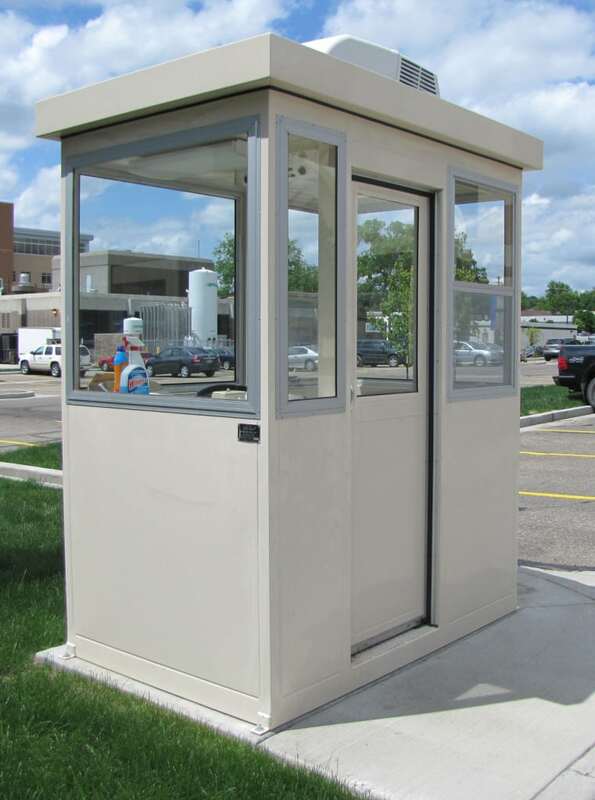 Parking lot booths from Par-Kut are built to your order and can be a simple shelter or valet booth, a parking cashier booth, or a security guard house. 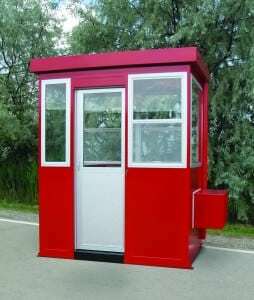 Factory assembled and delivered ready for easy hook up and immediate use, a Par-Kut parking booth provide the purchaser a secure parking lot office. 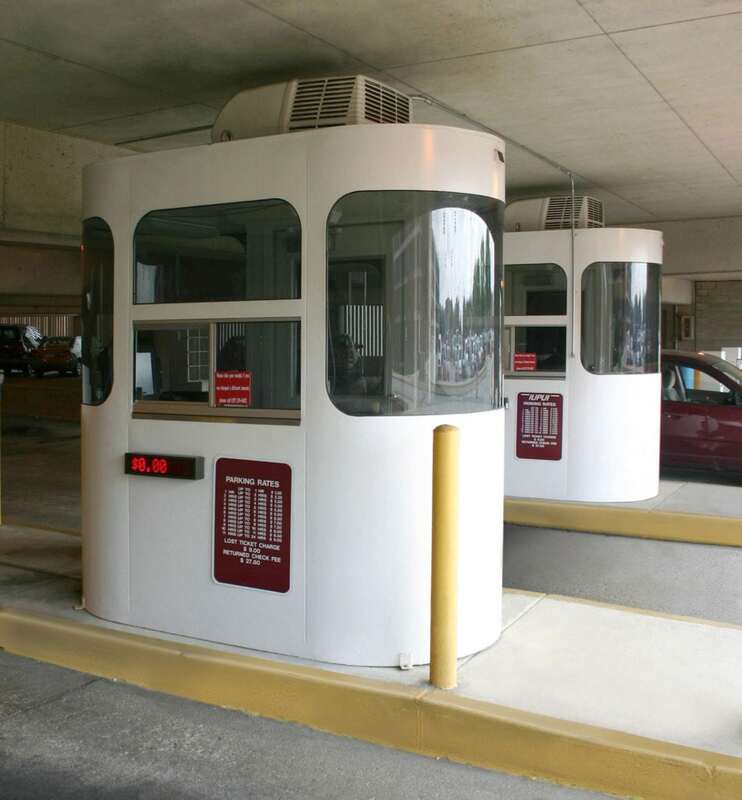 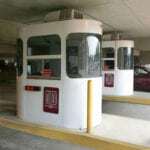 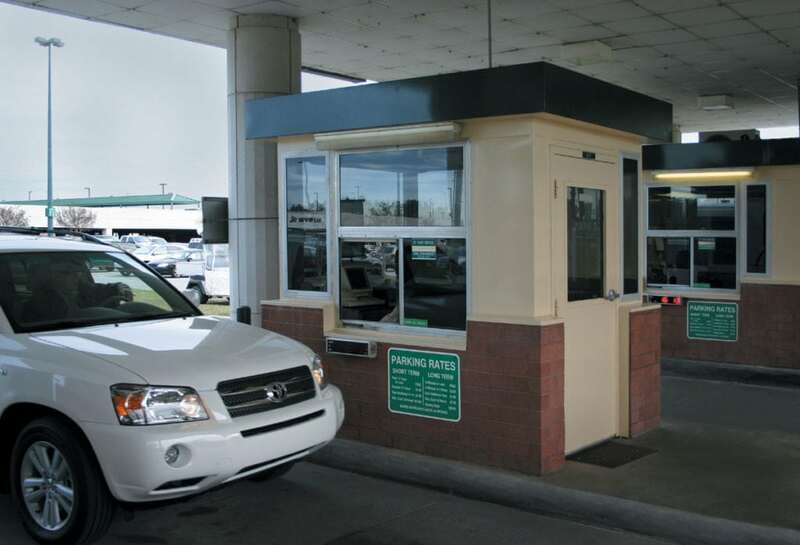 Parking booths from Par-Kut can be outfitted with restrooms, bullet resistant construction, and platform mounting. Further, parking booths from Par-Kut can be standard, or architecturally enhanced to better blend with site surroundings. 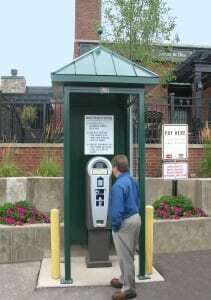 Go to GALLERIES to view additional parking booths. 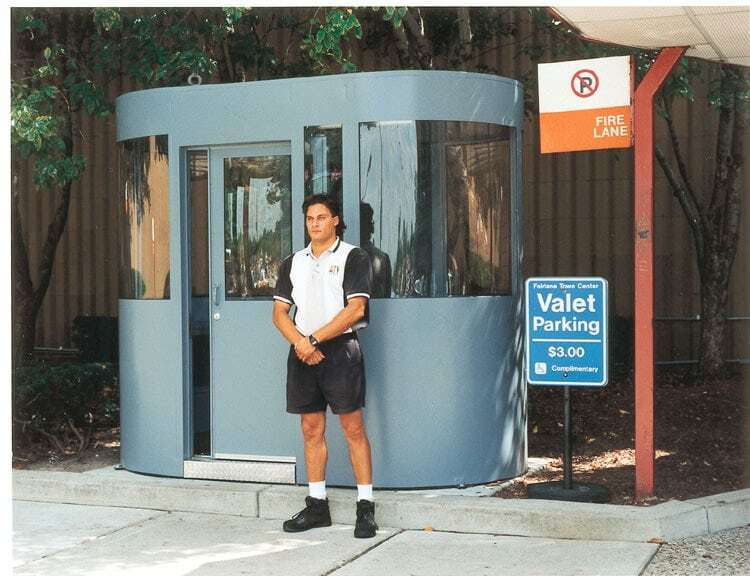 Par-Kut provides a parking booth (also known as parking lot booth) used to shelter security personnel. 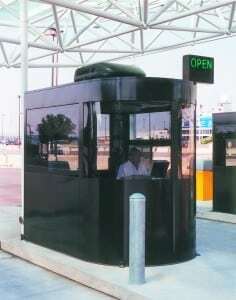 Par-Kut parking booths (also known as parking lot booths) are long-lasting, portable steel buildings.